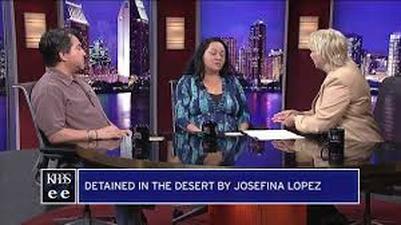 Tom Fudge of KPBS Midday Edition interviews Josefina Lopez and Dave Rivas on "Detained in the Desert"
DaveyBoy Productions is, Voice Over-Actor Workshops, Private Coaching and Direction, Theatrical and Commercial Sound Design, Recording and Sound Production. 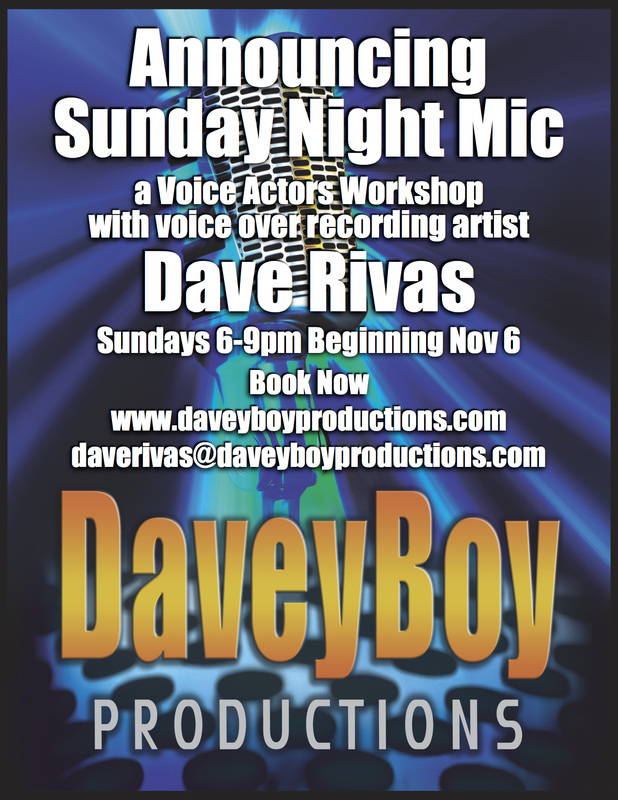 Get on Mic with Dave Rivas, Professional Actor & Voice Over Artist of over 15 years. If you're an aspiring voice actor, stage actor, comedian, performer or anyone who would like to learn mic & studio technique or how to use your voice to enhance your performance on mic, on stage or in your personal life, book a session with DaveyBoy today. Need help working on that demo or promoting your personal business, special event? 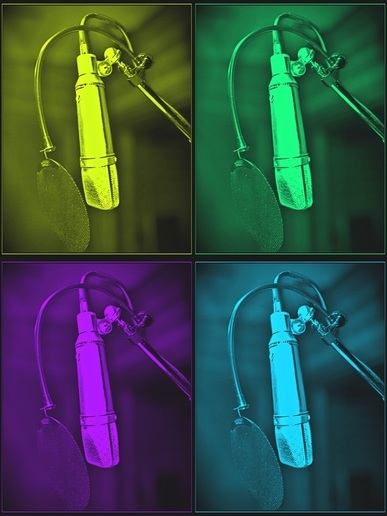 Let Dave at DaveyBoy Productions show you how using your voice as a tool or as a finely tuned instrument can help you. "Thank You Dave for an Awesome experience and can't wait to learn more about the voice over business. To Anyone trying to get into the voice over industry Dave is the man to do so. "Dave is multi talented with a wide variety of voices and acting abilities. Dave has the best attitude and is a joy to work with!" "Dave is a multi talented voice-over artist and actor. He has come through for me many times on numerous projects with his wide range of voice skills and improv. When I need a voice, Dave's the one I call 9 times out 10." -Rick Bowman, Owner Lethal Sounds Inc.
"Dave is one of the most versatile and funny voice artists I've ever worked with. His theater acting has no doubt expanded his fame and repertoire as well. He'll put a smile on your face while delivering the best goods you could ask for. I'd highly recommend Dave for anything he sets his heart on doing." "Dave's voice talents are very flexible, from a corporate read to a totally "off the page" cartoon character, Dave can, and has delivered many times over the years."